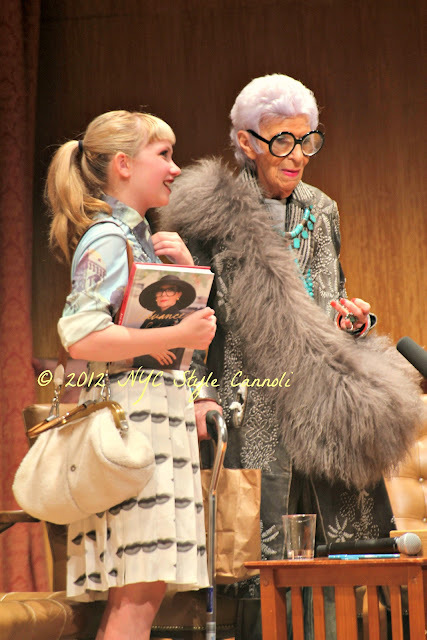 Photo Gallery Tuesday " Iris and Tavi "
One of my favorite photos taken of Tavi Gevinson and Iris Apfel at the Metropolitan Museum of Art event last June. It was a real thrill to see these two ladies together, and how well they got along with their love for fashion. Tavi really is coming into her own, and I am sure we will be hearing great things from her for years to come. I also love in this photo, Tavi is holding Advanced Style by Ari Seth Cohen, a blogger turned author, who shows off the women over age 65 who can teach us all about being stylish. If you are one of my newer followers, you can read the full post HERE from last June. It is a real treat. Make a fashion statement on this Tuesday!! Love the contrast of years you captured. :) Found you on Sweet Shot Tuesday with Kent Weakley. If I could be like Iris at her age, I would gladly reach that age but I highly doubt it! She is one heck of a lady, for sure!